I needed this job. Being a secretary wasn't exactly my first choice of professions, but when I got the call from Prince and Pots that a position had opened up, I jumped on it. Little did I know that I'd be working for Xander Prince, a tyrant by any standard. I could handle his glares and cold words. I could handle the way he looked down his perfect nose at me every time I walked into his office. What I couldn't handle? When he locked me in the file room with him, told me he owned me, and gave me more pleasure than I'd ever experienced. He let the beast out, and instead of fear, I felt free. But how would he react when he found out who I really was? I give this book 4 Stars. It is short and to the point. Definitely could be read in about 30 to 45 minutes. I love a good boss/secretary taboo romance. I am definitely down for some workplace naughtiness and Ashlyn did not disappoint. The scenes were HOT! Mr. Prince is wickedly delicious. He could spank me any day. 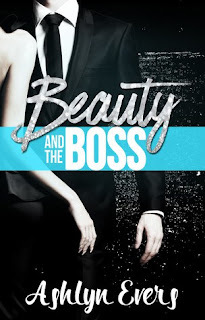 This review of Beauty and the Boss by Ashlyn Evers is for The Sweet Spot Sisterhood Blog.